I”m sort of in between things today, so I’ll leave you with a shot of my current spinning WIP :) This is ‘Stained Glass’ by Julie Spins. 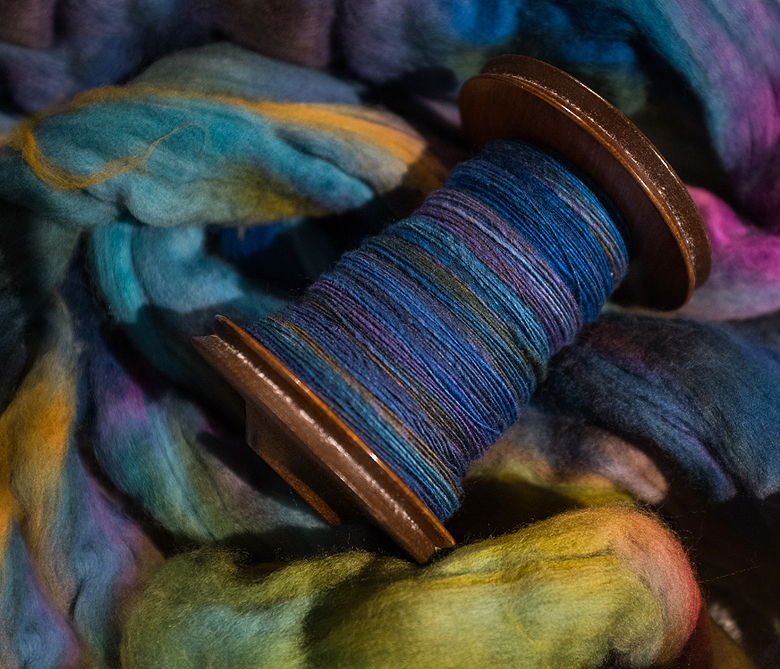 It’s slightly felted, which makes it a tough spin, but the colours more than make up for it! PS- Apparently the thing to do with sales this weekend is to let them go until ‘Cyber Monday’ so the Resin Jewelry book is on sale til then! PPS: I hope everyone had a wonderful Thanksgiving!